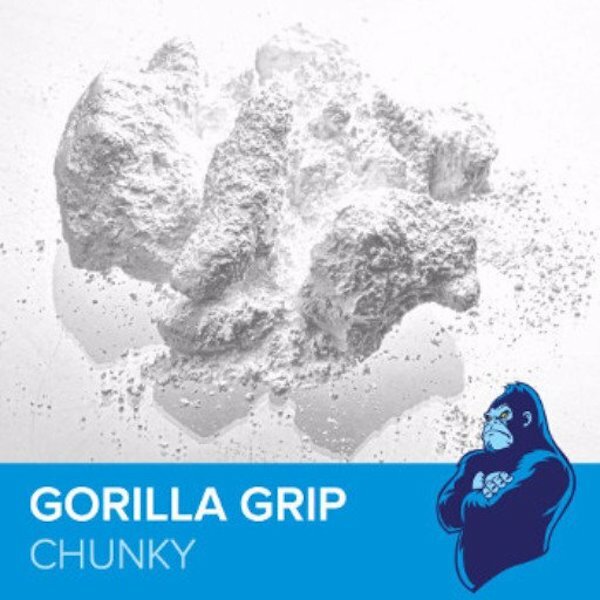 Our friends over at Skratch Labs are on a mission to help you crush. This interview is slightly different than others we've written. 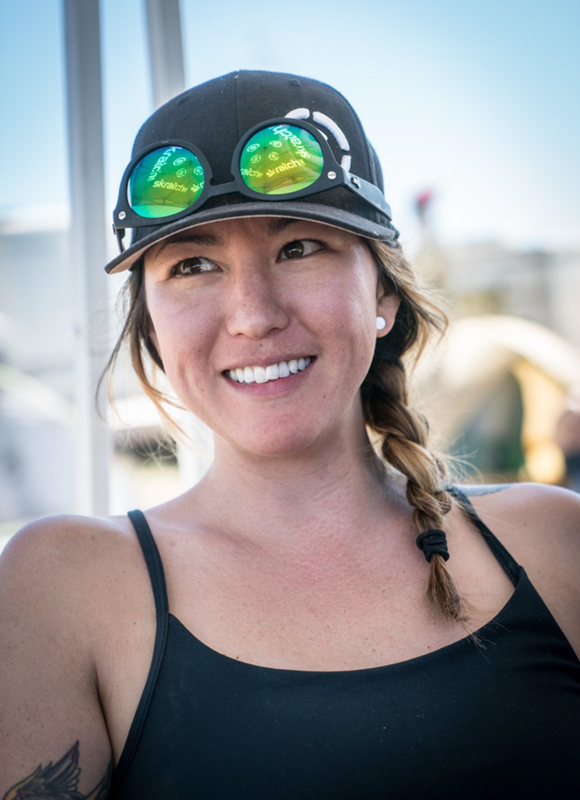 Today, we're chatting with Shawn Milne, marketing guru at Skratch Labs, a natural sports drink and nutrition company founded near us in Boulder, Colorado. Aside from making a great product, the team over at Skratch has done an awesome job of fueling pysch in the climbing and biking communities. We've always looked up to them as an example of how to shake up an old product with fresh perspective and extreme attention to detail. We hope you enjoy their story! 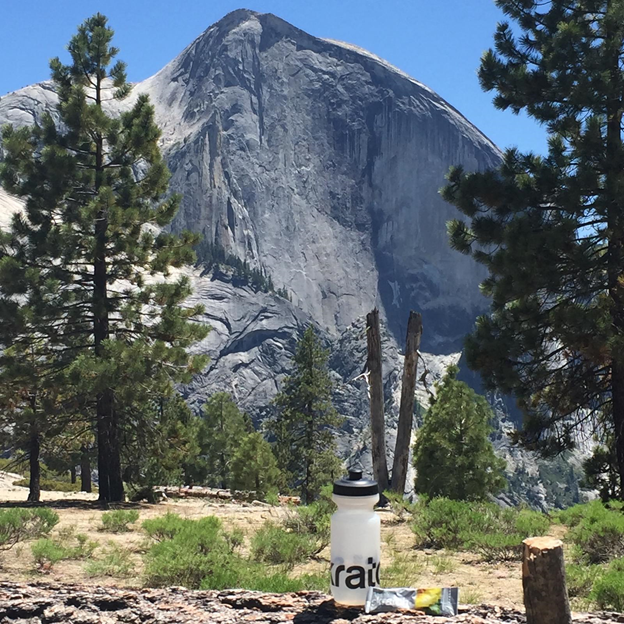 ‍Staying hydrated before an attempt up El Cap. 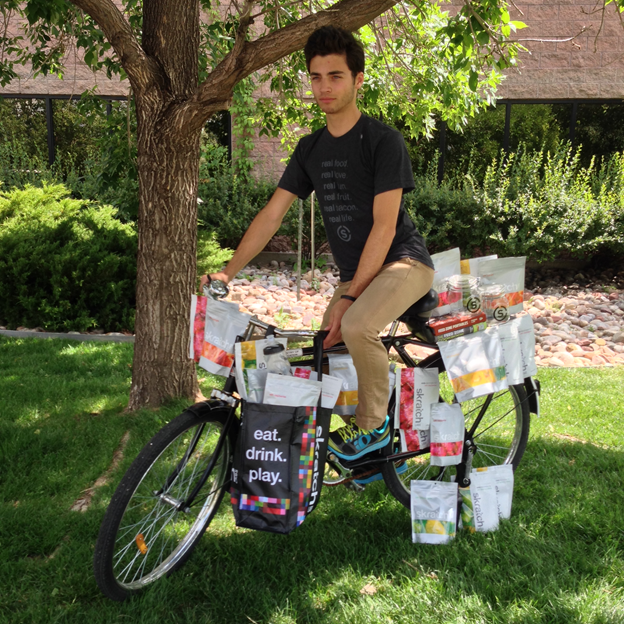 What’s a typical day like for you at Skratch Labs? Skratch Labs is a wonderful and unique company, but our day to-day is similar to most office environments and can get a little bit mundane. What sets this company apart from others is the people. We have a Wednesday Breakfast every week and when it’s a little slow in the warehouse, we all play 30 minutes of Knockout out back on the basketball “court” (aka parking lot). Groups of us have gone fishing, riding, climbing, skiing and made dinner together. We feel more like family members than just co-workers. That really makes it more of a family than an office job. How did Skratch Labs get started? What is the company’s mission and vision? Our mission at Skratch Labs is to provide people with the inspiration, life skills, and products to take better care of themselves and their families. With that in mind, our vision isn’t restricted to just performance-based products or to interaction with elite athletes. If we can help someone go on their first hike in a year or get off the couch for their bike ride, to us that’s as much of a success as helping an athlete reach an Olympic gold medal. This is partly why we have three cookbooks, a cutting board, a cookie mix, and even a traveling food truck—products that certainly don’t immediately correlate with athletic performance. 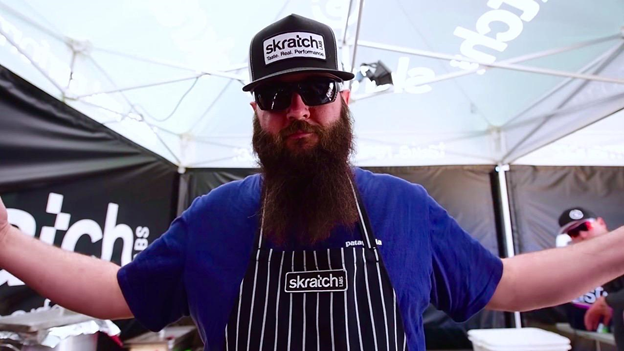 Skratch Labs employee Jeff Kenyon playing chef (and band member for ZZ Top) during the 2015 24 Hours in the Old Pueblo. If we had to give people a simple way to think of Skratch, we’d probably say “a healthier version of Gatorade.” Is that accurate? Can you tell us more about what sets Skratch apart and why athletes should consider using it? The Skratch Labs Exercise Hydration Mix was originally designed the same way Gatorade was: to meet a need. Gatorade was designed to help a college football team. Skratch Labs was created to help a Tour de France team. 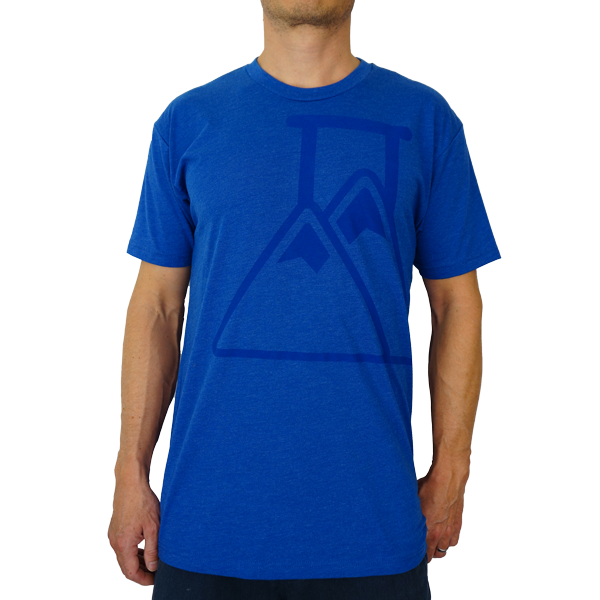 Skratch Labs was created to simply replace exactly (on average) what is lost in sweat. 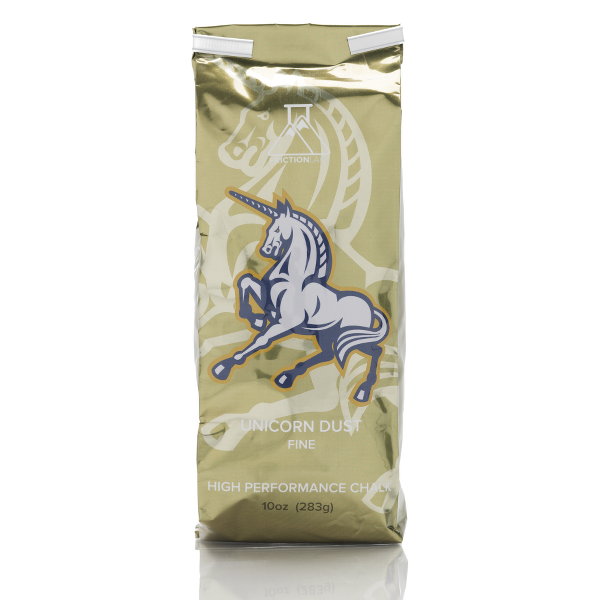 Additionally, it has simple carbohydrate sugars to help maintain blood sugar levels during exercise and has real fruit for flavoring. This simplicity means that fewer unnecessary substances are entering your body and inhibiting the necessary ingredients from getting to where they need to go. What do you enjoy most about being headquartered in a health-conscious town like Boulder? The outdoors!!!! Year round there is always something amazing and fun to do outside. Plus, if it’s too hot in Boulder, we head to the mountains. If it’s too bitterly cold in the mountains, there’s probably something fun to do in town like XC ski or even grab the Yaktrax and go for a hike. What are some of the most common questions you hear from athletes about what to eat before, during, or after an intense workout? Honestly, that itself is the most common question we hear. What is it that we should be eating/drinking and when? Unfortunately, there isn’t an easy answer to that as everyone is so different and our bodies are truly complex. However, you can also overcomplicate things. If you are an athlete who is in tune with your body, you simply need to eat when hungry and drink when thirsty. That covers about 90% of the issue. From there you can fine tune the specifics. If you want to dive deeper into the subject we have a blog that is growing with what we’ve discovered and want to share. The science section is a great place to start. 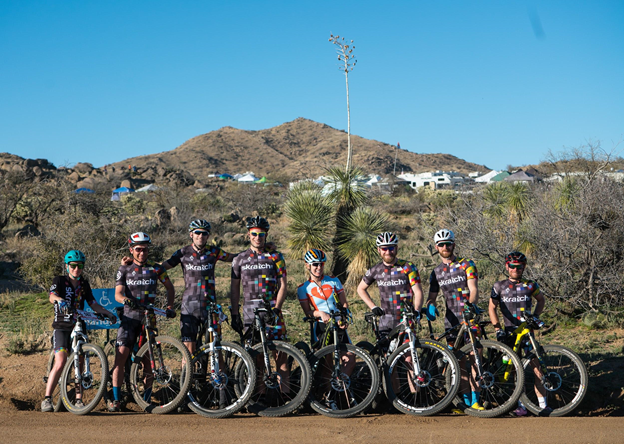 Team Bacon Powered and Team Feed Zone Table warming up the night before the 2016 24 Hours in the Old Pueblo. Like us, Skratch takes science seriously. In our experience, this can be a double-edged sword: science can be incredibly helpful to better understand and solve a problem, but it also invites some level of controversy since nothing is ever truly proven and some people never stop being suspicious of scientific claims made by businesses. How do you respond to the skeptics? I think our strategy is similar to yours in which we prove our science through practice. You are so right that scientific evidence is continually changing as we discover more about this world and everything in it. What makes working for Skratch Labs great is that our position has always been to do the research on yourself to see what works best for you. It makes marketing much easier as our stance has real truth to it. Each person is so unique that making a claim about the best sports drink for everyone is nearly impossible. For example, the ratio of sodium in human sweat varies so much from person to person that if our shoe size was similar, we’d all have sizes between 6 and 600! How can you make a blanket statement that one sports drink will work best for everyone? That said, it does seem to be consistent that our bodies respond best to real ingredients. So while many other companies are “maximizing” scientific design or minimizing cost with their ingredients, we’ve restricted our mix to comprise of only real ingredients and only the best ones we can find. I think our success as a company has to do with these guidelines since most people who try our products absolutely love them. Skratch originally broke through in the cycling world. What made you want to branch out into climbing as well? Jumping into the climbing world partially has to do with the pragmatism of going after the run/bike/outdoor trio. Starting in cycling segues into running pretty easily, and then there’s a goal to get into the outdoor market. We also have a few employees here that started in the climbing world (coming from Evolv) and personally were psyched to get into that market. Once we started down that road, the enthusiasm became quite contagious as the sport is so engaging from all levels! Skratch Labs hydration: Don't leave home without it! Which of your products are most popular among climbers? Where can we find your products? I’d say that climbers have really taken a liking to the Fruit Drops. Elite climbers enjoy the Hydration Mix as well, but in general most climbers love having a quick burst of simple carbohydrates during a session. For the most part, all REIs carry our products. Some Whole Foods do, too, especially here in Colorado. Fleet Feet (a running chain) carries our products, as well as many specialty cycling shops. And as always, our website has free shipping on orders over $50. Who are some of Skratch Labs’ other consumers besides athletes? We’ve had some interesting professions reach out to us. Firemen, construction workers, doctors. My favorite story is that a restaurant here in Boulder, Frasca, kept ordering our mix. When we contacted them to see why, they mentioned that they were receiving complaints of their dishes being too salty in the summertime.They found out that their chefs were sweating all day in the kitchen during the summer and craving salt, so when they were taste testing dishes they kept adding more salt in the summer than wintertime. Hence the Skratch Labs Exercise Hydration Mix orders. 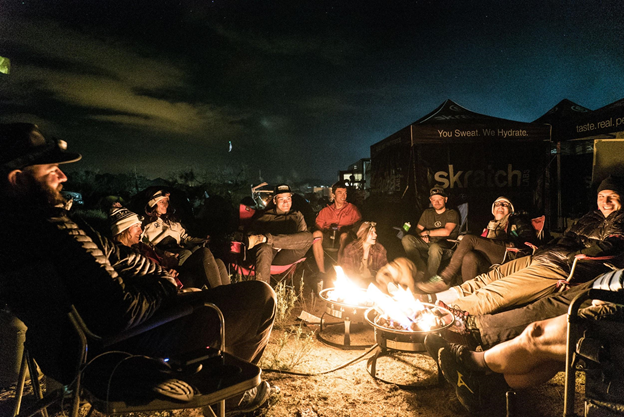 ‍Skratch Labs team bonding around the fire with bourbon and burritos. We hear you’re a climber yourself. What sparked your interest in climbing? Oh I wouldn’t exactly call myself a climber, but I have started to go with reasonable frequency. My old co-worker (she now works/climbs in Tucson year round) Linda is a phenomenal climber and an even better teacher. She got me sucked into the sport. Have you gotten outside yet? What are your favorite spots (indoors and out)? While I don’t climb as frequently as I’d like, I do enjoy a couple spots. Boulder Rock Club and Movement are my favorite gyms. I love running from the parking lot of Chautauqua Park here in Boulder to either the first or second Flatiron and then running down from the top. I’ve yet to do the third. I hear that gear is more strongly recommended for that one than the first two. What was your “a-ha” moment with FrictionLabs? I’d have to say it was after watching the Frictile Dysfunction video. That’s when I knew that Skratch Labs and FrictionLabs shared more than just a last name. Knowing that you have a superior product but you talk about it in a comical entertaining way—sounds exactly like what we do here! ‍Events Manager Shanelle Tanaka rocking her permanent smile while out in the field making delicious food from the company food truck. Are there any new Skratch products in the works? Mums the word on that one, but I will say to keep an eye out ;). Where can readers learn more about Skratch Labs?